To download an official PDF of your license from the FCC follow the steps below. Log in to the FCC License Manager page. You’ll need your FCC Registration Number (FRN) and your password. If you’ve forgotten your password or never set one up go to the FRN Password Reset page. 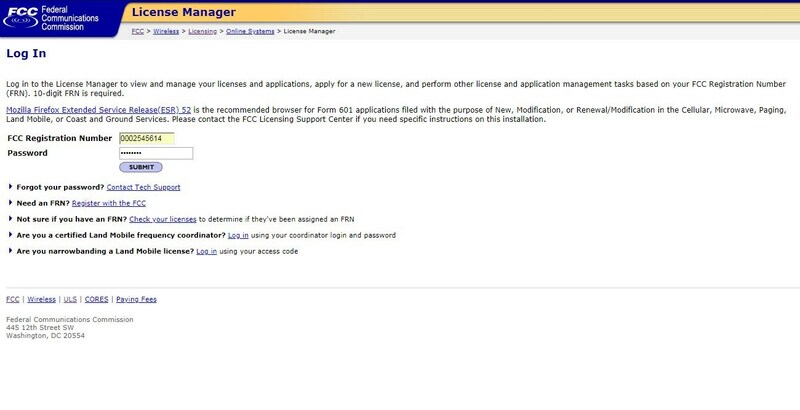 After logging in you’ll be at the License Manager Page with your license information. Inside the green strip near the top click the “now” link at the end of the sentence “download your official electronic authorizations now”. You then reach the Download Authorizations page. 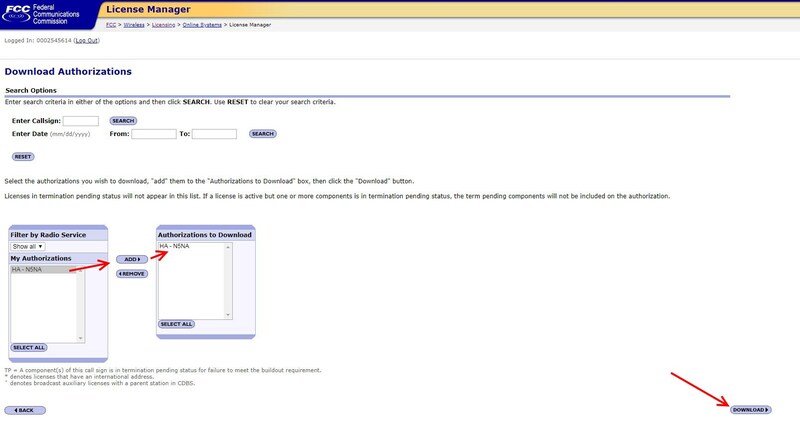 In the box titled “Filter by Radio Service” your license will be shown under “My Authorizations“. Click your call to highlight it then click the “ADD” button to place it in the “Authorizations to Download” box. Click the “DOWNLOAD” button in the lower right corner of the page.